Jeanne Besner, a project management student at ESG UQAM, recently joined the KHEOPS team as a project coordinator. In the following lines, she shares her impressions following the International Urban Forestry Congress, held in Vancouver, which she attended. As a graduate of the School of Urban Planning and Landscape Architecture of the University of Montreal and student in project management, I am interested in the issue of preserving and enhancing urban green spaces: how to develop them and how to use them strategically in city planning? I received a grant from the foundation of the International Youth Offices of Quebec (LOJIQ) to attend the International Urban Forestry Congress held from September 30 to October 3 2018 in Vancouver, British Columbia. 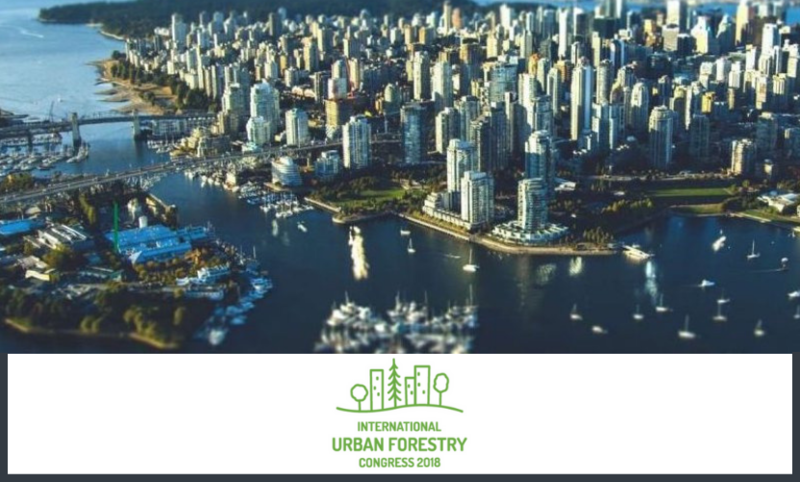 Under the theme The Urban Forest – Diverse in Nature, this event brought together more than 700 experts, including arborists, planners, forest engineers and researchers. At the end of my participation in the Congress, I have retained the variety of tools and strategies for urban forest management. I particularly retained the examples of different cities across Canada and around the world, such as Vancouver (CAN) and Melbourne (AUS), that have implemented a “green” vision within their jurisdictions and have developed policies and practices accordingly. In addition, I have retained that urban forests require the support of actors from different backgrounds to ensure their preservation and enhancement. During the Congress, I also observed the willingness of many of these actors to discuss the issues related to their development and possible solutions. In light of this event, I understand that urban forest management requires, among other things, communication and cooperation between government and municipal services, as well as the involvement of the population and academic partners. In short, the implementation and management of green infrastructure in cities should be done in accordance to their size, resources and vision. After all, could green infrastructure become one of the main assets in urban communities?